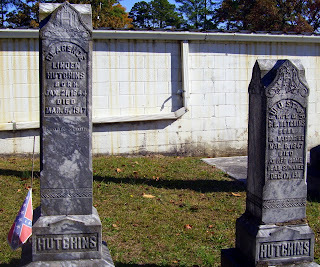 Tombstones for C. L. Hutchins & his wife Lulu Starr. 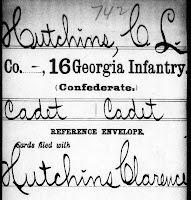 Next we learn about C. L. Hutchins, the Prisoner of War. He "Appears on a register of Prisoners of War at Old Capitol Prison, Washington, D.C." He was captured 6 April 1865 at Sailor's Creek, Virginia, then sent to Johnson's Island, Ohio 17 April. After a couple of months, Clarence signed an Oath of Allegiance to the U. S. and was released. Here is one of only a couple of places where we find a rank other than "cadet" for Clarence. He was listed as "2 Lieut, C. S. Army." Also included was a bit more information: his place of residence was Lawrenceville, GA; he was 21 years of age; his complexion was "florid" [highly colored, red, flushed]; his hair was dark; his eyes were hazel; and his height was 5' 6". Some other items in his service record consist of pay vouchers and clothing requests (1 pair of shoes and 3 pairs of socks). 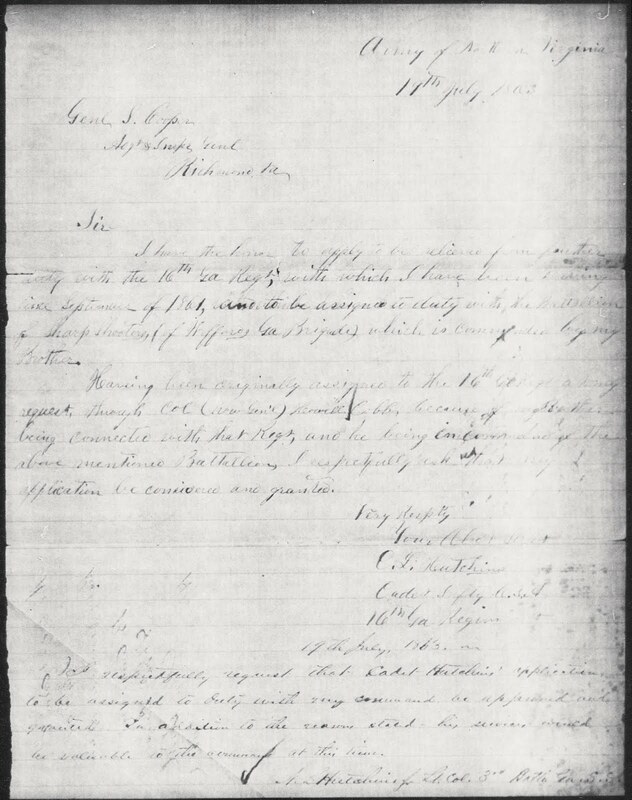 He was paid an officer's wage of $80 a month, but his clothing requests state the following: "I certify the above requisition is correct, and that the articles specified are absolutely requisite for the public service, rendered so by the following circumstances: Cannot otherwise supply my self." 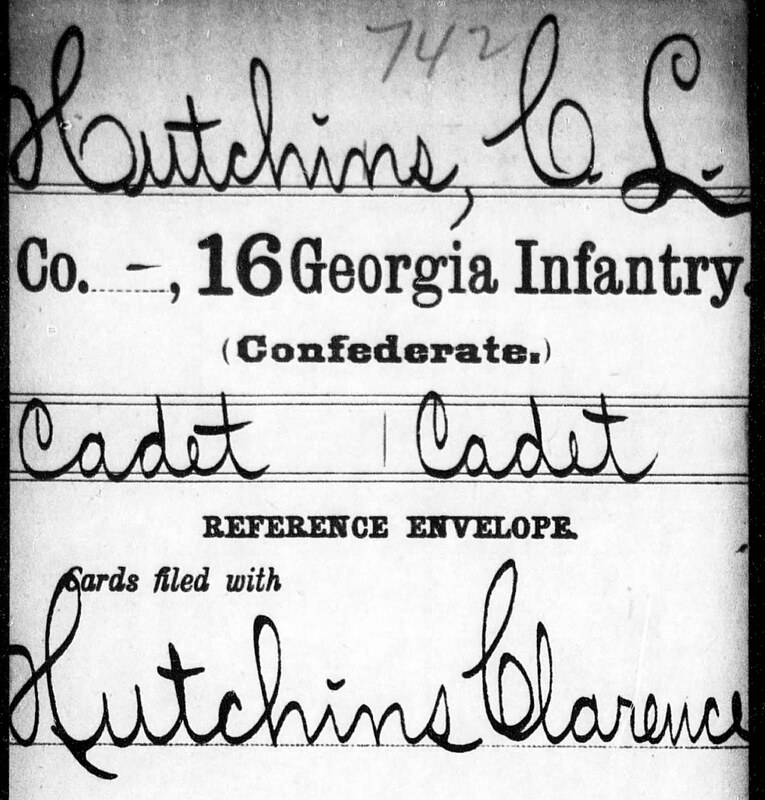 Each of these documents was signed by Clarence Hutchins. I have the honor to apply to be relieved from further duty with the 16th Ga Regt, with which I have been serving since September of 1861, and to be assigned to duty with the Battalion of Sharp Shooters, (of Wofford's Ga Brigade) which is commanded by my brother. 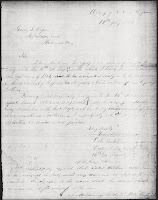 Having been originally assigned to the 16th Ga Regt __?__ request, through Col. (now Gen'l) Howell Cobb, because of my brother being connected with that regt, and he being in command of the above mentioned battalion, I respectfully ask that my application be considered and granted. I respectfully request that Cadet Hutchins' application to be assigned to duty with my command be approved and granted. In addition to the reasons stated, his service would be valuable to the command at this time. 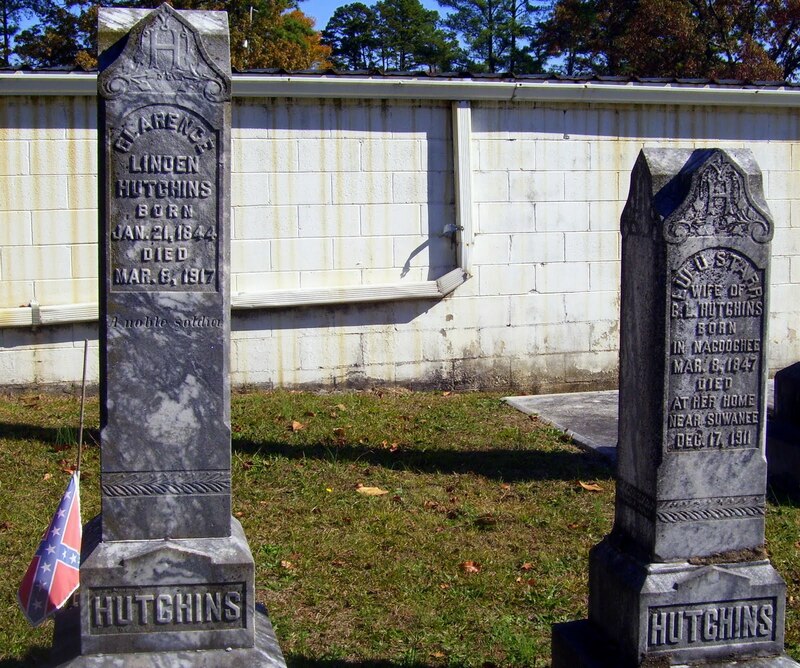 Lt. Col. 3rd Battn Ga S.S.
Nathan L. Hutchins, Jr. was the second oldest son of N. L. Hutchins, Sr. and Mary D. Holt. He was about ten years older than Clarence, and in my opinion, his caretaker during the Civil War. What do you think?